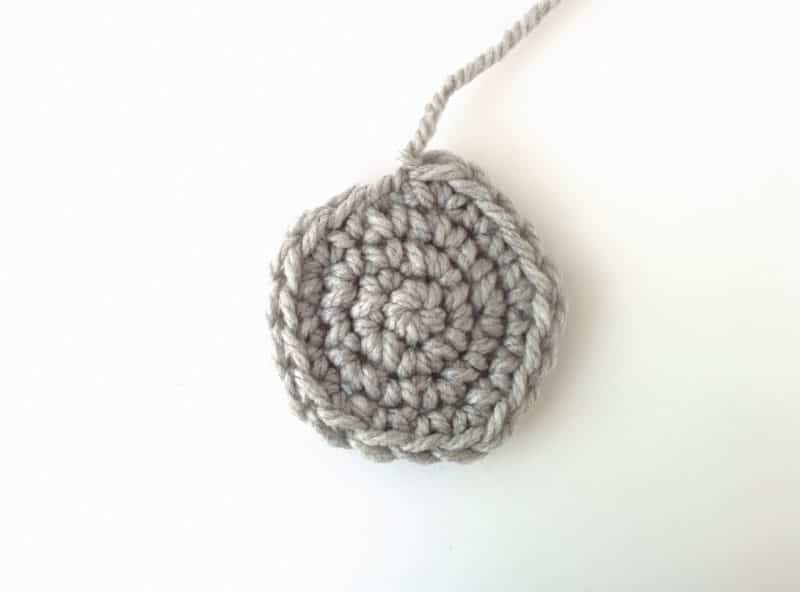 When you’re working on a crochet project that has more shaping than just a square or a rectangle, you’re going to see increases in the pattern. 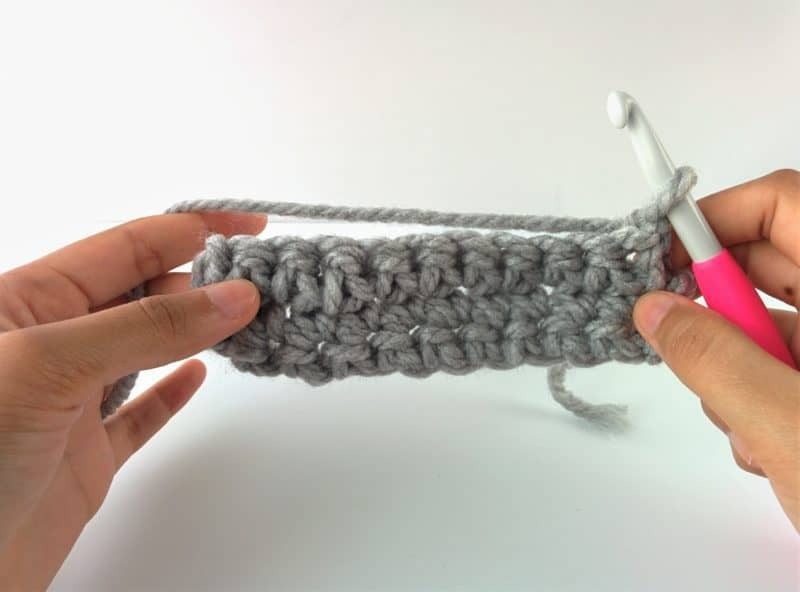 Increases are used to create more stitches in the row and they can be worked in different patterns for different shapes. But all increases are basically the same: you need more stitches. 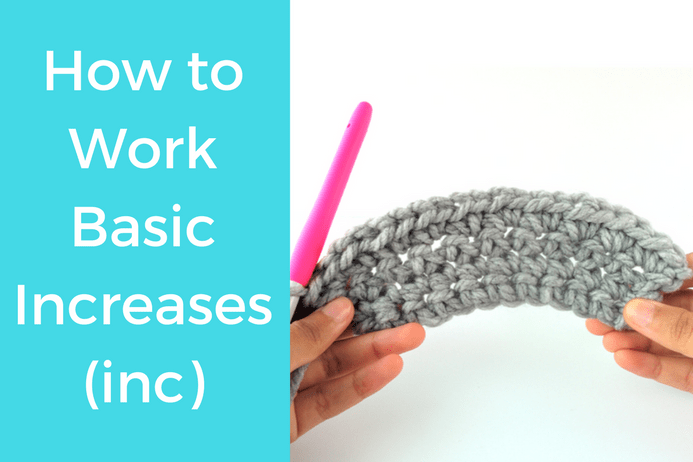 So today, I’ll show you how to work basic increases for any time you come across that in a pattern. First, let’s take a look at the video. It’s super short and you’ll see how easy this is. Now, I’ll show you how I increase my sample of 10 SC to 20 SC. 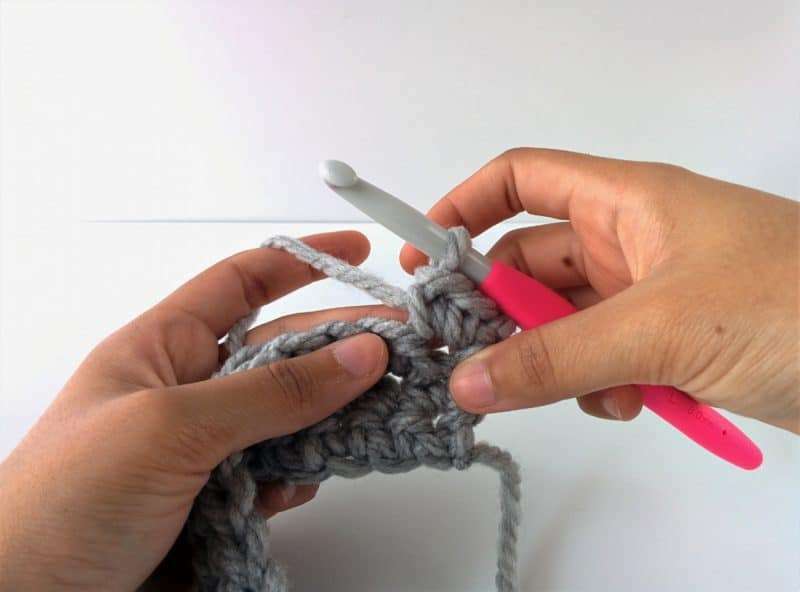 In whatever space you want to increase, work two stitches instead of one. If you’re working in SC like I am, continue in SC. You’re basically taking one space and creating 2 out of it. That’s pretty much it! In my sample, I increased into each space, doubling my stitch count. 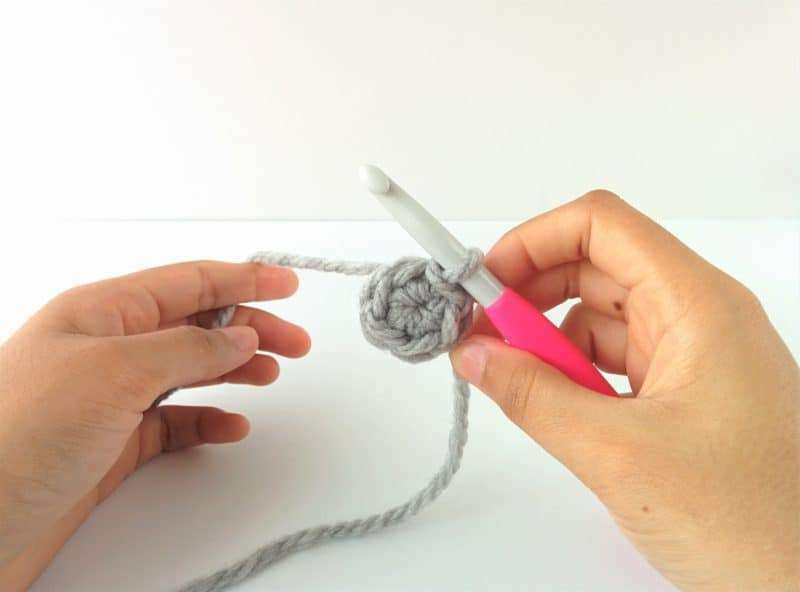 This works with all stitches, so if you used double crochet for your project, increase by working 2 DC into the same space. When you make other shapes, you’ll get instructions to increase in different patterns. For example, if you were making a circle, you’d start with a magic loop and a couple stitches in there. You don’t have to worry about a magic loop right now, but if you want to see a tutorial on that, click here. You start with 5 stitches. And if you work increases into each space, you’ll have 10 stitches at the end of your second round. For the third round, you could increase into each again, you then you’d have 20 stitches and your circle won’t be smooth. So, you work in a pattern. 3rd round: *SC, increase* repeat around (15 stitches). In this round, you increase inn every OTHER space and SC normally in between so you have fewer increases per round. I go into more detail about this when I talk about making circles, but I wanted to include this here so you see how the term “increase” or “incr” is used in a pattern. Whatever stitch you use is fine, but just work 2 stitches into the same place when you work an increase. P.S. 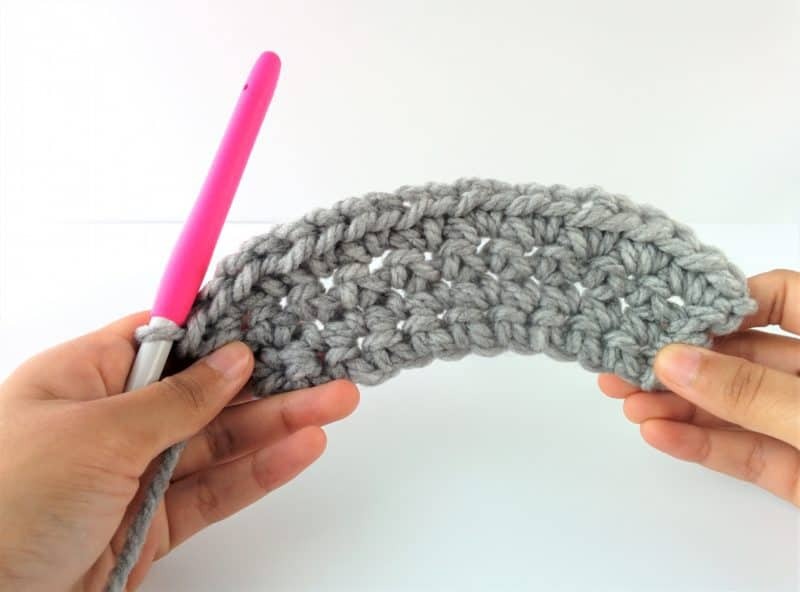 If you want to crochet at your own pace and get more tutorials, tips and patterns all in one place, check out The Beginner’s Guide to Crochet! It’s an ebook with all my the first 12 lessons (complete with pictures and video just like this post), more tips on choosing the right materials and tools, along with 12 beginner friendly patterns (also with video). You can get the whole thing for free right over here! Thanks so much for reading! I hope this helps you out and if you decide to get The Beginner’s Guide, I’d LOVE to see your creations. Share your pictures with us over in the free Facebook group! I’ll see you guys really soon with a post all about decreasing.